Email is smarter, faster and cheaper. Frequently email use is abused. Group Emails: When sending group emails, use the BCC line (bcc means blind carbon copy). It is considered rude to put 100 names in the TO message line. People often cut and paste emails, which often times cause email boxes to get overwhelmed with junk email. 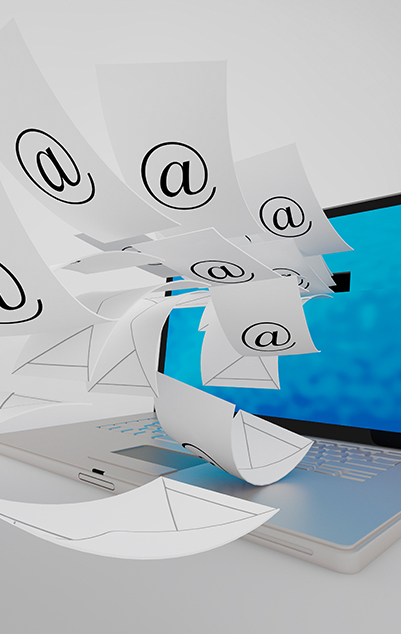 Email Overuse: Don’t send emails for everything! Lately, snail mail is becoming more effective because email is overused. If you have an important event, you may want to consider sending a physical invitation. More frequently, group emails are being deleted instead of read. Get Permission: Make sure that you get the users permission before sending newsletters or group emails. Mass emails can create upset customers instead of loyal ones. Ask for Personal Email Accounts: Ask friends if they have a personal email account instead of a business email account. Many people prefer social emails to be sent to a separate account. It’s hard to read through tons of social emails during the workday. In addition, many companies frequently audit employees for email abuse on the job. Never Type in All Caps: Capital letters slow the reader down by about 20%. Sometimes it is viewed as though you are yelling or screaming at someone. Do Not Forward Virus Warnings: Generally virus warnings are hoaxes. You should only send virus notices to close friends and colleagues if YOU in fact have a virus. If you need help designing and programming an electronic newsletter, then give us a call. We are here to help you visually tell your story. Kaleidoscope Consulting Group is a full service marketing consulting firm that specializes in graphic design, website development and social media. We help small business owners in Los Angeles and throughout the country transform their thoughts, ideas and dreams into creative and compelling designs, websites and more. Our goal is to become an extension of your marketing team. We value partnerships and always look for ways to brand, message and drive clients to your door. We use traditional advertising and social media advertising to ensure that your business stays at the forefront of people’s minds. Our goal is to manage your digital marketing so you have time to focus on your business.